Busan KAPCA Yangsan Dog Farm Rescue Update – Large, mixed breed dogs still waiting for homes abroad. 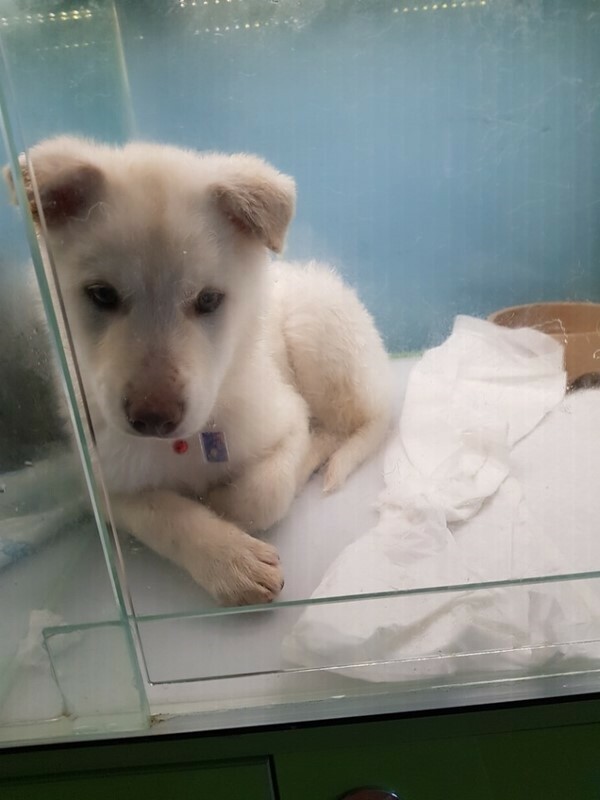 Home / Blog / Busan KAPCA Yangsan Dog Farm Rescue Update – Large, mixed breed dogs still waiting for homes abroad. 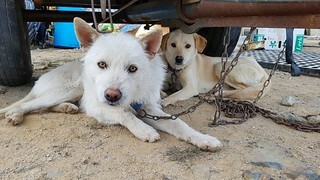 We have received an update on the adoption status of the dogs rescued by Busan Korea Alliance for the Prevention of Cruelty to Animals(Busan KAPCA). 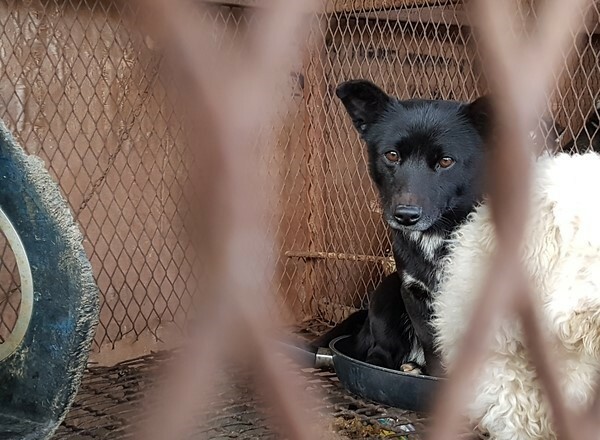 The dogs were rescued from a Yangsan dog farm Busan KAPCA had shut down in January 2018. Click HERE for the Yangsan dog farm rescue. As of today, May 4, 2018, 7 dogs have been adopted and 2 dogs have been reserved for adoption. However, all the remaining dogs, medium by Western standards, have a slim chance of finding homes within Korea, as most of Koreans live in high-rise apartments without a yard. Koreans, as well, prefer small pure breed dogs as companion dogs. 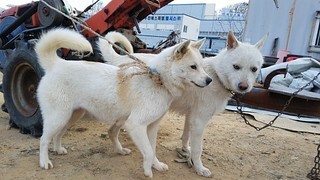 Even if they were to be adopted in Korea, most likely they will be chained outdoors, guarding homes or businesses, exposed to the elements, with minimum interaction with humans, and no exercise. 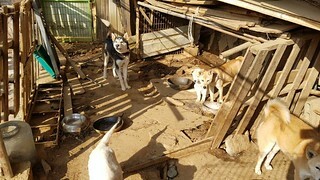 Therefore, Busan KAPCA is asking for your support in finding homes for these dogs outside of Korea. They have English-speaking staff and are able to facilitate overseas adoption. Please contact them if you are interested in adopting. Only serious inquiries, please. Ms. Aera Kim is the founder/director of Busan KAPCA (rucy3@naver.com). The office phone number is 051-817-0993. For the manager in charge, call 010 5135 8073. At the moment, overseas foster homes are not feasible, only adoption. 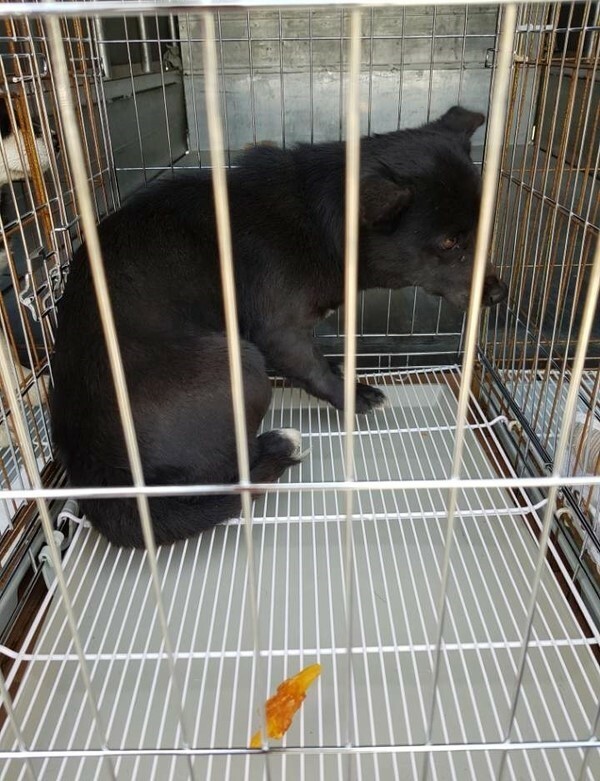 Black Balari (common breed in Korea), female, 2 years old, 5 kg (11 lbs). Heuggi currently has heartworm and uterine empyema, for which she is receiving medication. After she has completed treatment, Heuggi will be spayed. We will always remember the look in Heuggi’s eyes when we met her for the first time. This sweet girl now wants nothing more than to find a home with a loving family where she can live happily ever after. Click HERE for Heuggi’s info in Korean. Heartworm negative. This sweet boy should be happy and playful but when we met him, he was instead sitting in the corner of his cage with such sadness in his eyes, as if he already knows too much about life’s suffering. Please help this adorable white fluff ball find a loving home where he can just be a happy puppy. Click HERE for White Puppy’s info in Korean. Heartworm negative. Just look at the sad faraway gaze of this young puppy. What must he have endured in his short life for his eyes to look this way? 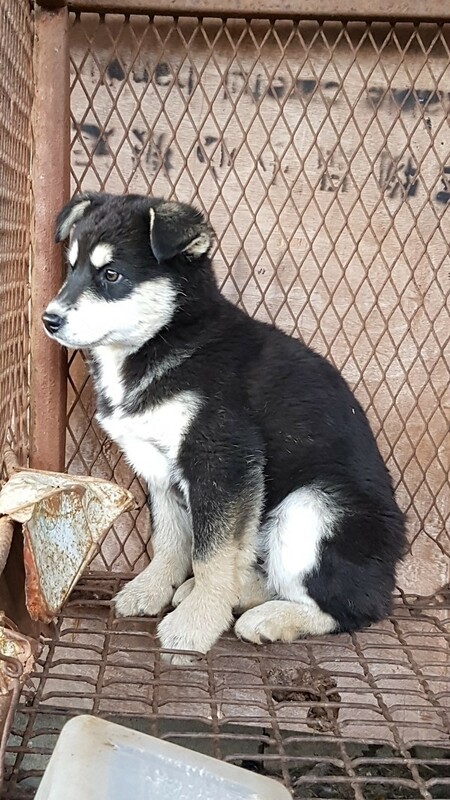 This darling boy with white spots on his head that look like two more eyes is waiting for a loving home where he can finally learn to be a happy puppy. Click HERE for Four Eye Puppy’s info in Korean. 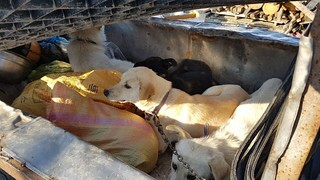 Below are some of photos of the dogs before rescue. Click HERE to see more photos. You can also support the Busan KAPCA’s campaign against the dog meat trade by helping toward the cost of care of these dogs by donating. We are grateful for your generosity! I would like so much to adopt one of them but I have got 4 dogs already and unfortunately I am unable to have a fifth one !!! the day when it could be possible I will adopt a big one ! for the moment I will make a donation to help ! I am very happy to see that one of the hell was closed !! !